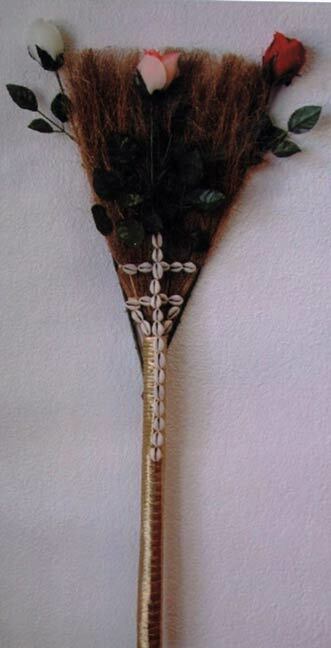 African traditional wedding Jumping Broom. Designs with cowry shell and three roses. (As shown on picture). Also available in plain broom with ribbon only. (Size 48 inches long).